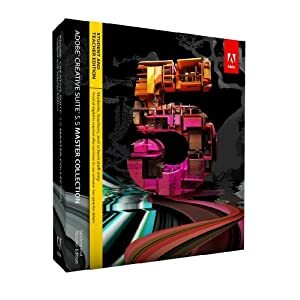 To celebrate the launch of Adobe UK Education’s great new competition they’ve kindly given us a copy of Adobe Master Suite CS5.5 Teacher and Student Edition to give away to one of our readers. Comment and like our Competition post on TipSquirrel’s Facebook page. The Adobe Imagination Challenge, which will be live until November, offers everything students need to get the most from Adobe software as well as offering them the opportunity to gain national recognition and, with the help of celebrity judges, three will walk away with a top prize of £10,000 each. The Adobe Student portal will be the hub of the competition; from there you can find our library of videos, tutorials and blogs as well as download trial versions of Adobe Creative Suite 5.5 Student and Teacher Edition so that everyone, from novices to pros can express themselves using Adobe software. The guest judges, Helena Christensen (supermodel, photographer), Greg James (TV & Radio presenter) and David Rowan (Editor – Wired UK) will oversee the competition judging. The competition’s dedicated YouTube channel will be feature judges videos including: interviews, their own creative work and a series of creative challenges. The best entries will be displayed in the Imagination Gallery where you can share your own work with friends and vote for the pieces that inspire you the most. Adobe will be giving away a £50 gift voucher daily for voting in the gallery so make sure to check back regularly to get some more inspiration for your own project. To enter the competition all you need to do is create something using Adobe software. The entry requirements are wide open, just like your imagination. Whether it’s a poster, a video, an engineering plan, a poem or a dream the competition is all about finding a way to share that vision in your own, unique way. Family of Photoshop Nuts may not enter. Eligibility for the activation of software apply. Winner will be selected at random from all entries.